Occupying one of the most prestigious locations in London, One Tower Bridge development by The Berkeley Group, in conjunction with the London Borough of Southwark, consists of nine blocks many of which are nearing completion and utilise Reynaers aluminium systems. 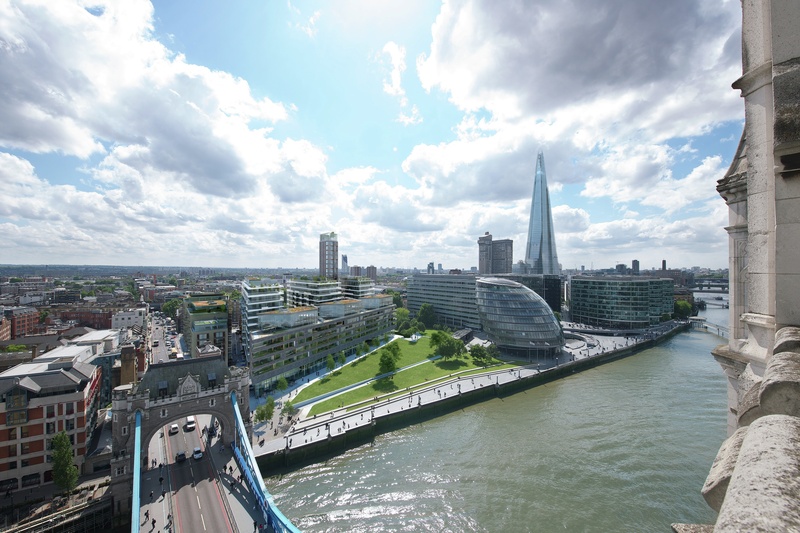 Berkeley Homes and the London Borough of Southwark appointed architects Squire and Partners to develop plans for the landmark site adjacent to Tower Bridge and alongside the River Thames following an invited competition. Previous plans had failed to secure a positive response due, in the main, to a segmented approach to the cultural space. Squire and Partners undertook a Masterplan approach linking the proposals to recent and historical developments in both the immediate vicinity and wider area. 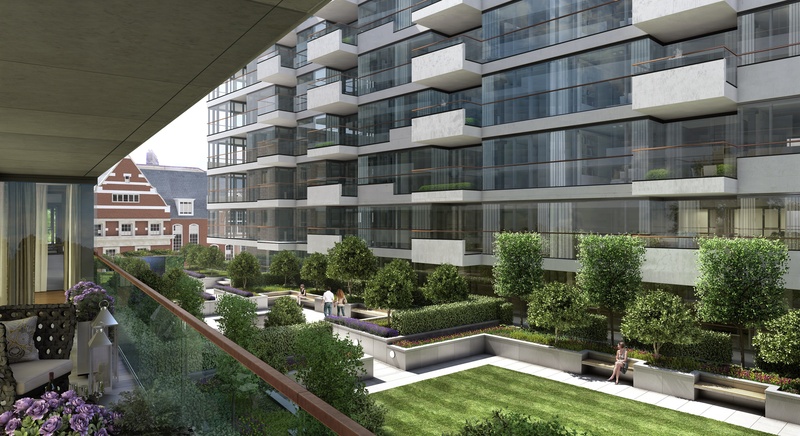 The proposal mapped out a lasting high quality development appropriate to the surroundings and in particular Potters Fields with its iconic landmarks. Essential to the proposal was the inclusion of a major new cultural facility and also the way the buildings align themselves along an axis linking Queen Elizabeth Street to the southern tower of Tower Bridge. This will eventually form a new commercial street visually and physically connecting to the bridge and surrounding streets. To achieve the conceptual look, feel and quality envisaged by the architects Reynaers supplied multiple design solutions across all of the architectural aluminium systems for consideration and approval. Nowhere were these demands as high as in the acoustic and aesthetic requirements where the collaboration of all parties and extensive development work by Reynaers, proved pivotal in the successful delivery of the project. “Fundamental to the success of this project was the close collaboration between Total Façade Solutions, Squire & Partners and Reynaers Aluminium to provide the design team with the solutions that were being demanded by the client, where other systems houses had failed,” explained Andrew Jones, lead consultant with Total Façade Solutions. Along with every other factor these had to dovetail precisely with delivery of materials for fabrication of the architectural aluminium systems and time-critical onsite installation schedules, which left no room for delays or errors. The extremely open design and distinctive style of the development maximises the location with Reynaers systems in extensive runs of CW 60 SC and CW 50 SC uncapped curtain walling. On balconies, large CP 130-LS, lift and slide elements along with CP 155-LS, advanced quality sliding doors are installed, providing high insulation and ease of operation to maximise the stunning views available. Maintaining the high standards, thermally improved, three-chamber CS 68 and CS 77 windows and doors were installed throughout the initial three blocks of phase 1 of the development. “Having been involved at the outset of the project we are delighted to have our top quality architectural aluminium systems specified for use on such a prestigious development,” added John McComb. For full details contact: Reynaers Limited, Tel: 0121 421 1999, email: reynaersltd@reynaers.com or website: www.reynaers.co.uk .